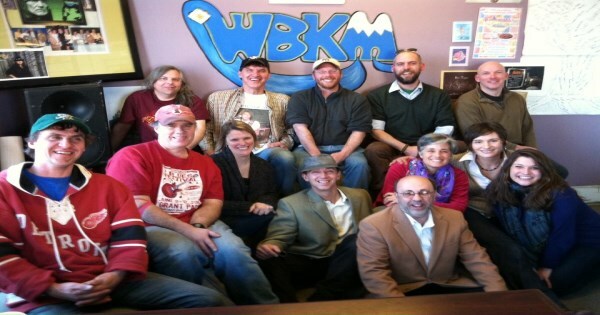 I just got back from radio show 17 on WBKM.ORG. It felt really smooth, like everything was in place. I felt like the arc from the blues, into Black Sea Quartet, into the rock, then back to the blues, flowed right. I was dancing like a fool to most of the songs, had the windows open, and the sound cranked. From our small city to the great big world, these are the sounds of Burlington. Even though the rain has stopped and the sun is out, I’ve got the blues, and the cure. This is Big Joe Burrell on WBKM, and this is Burlington’s kind of music. Said I never met Mike Deutsch, but saw him play a few times, and he was good. It was sad to learn that he passed away at 41 years old. Talked about knowing Mr Charlie for years and having tons of respect for him. He and Blues for Breakfast play often. Talked about how Joe moved to town and taught us how to play the blues. Talked about the statue for him on Church st. Said it’s time to check out the next song on New Appreciation For Sunshine. The Austin sisters have made great music in this town for a long time. Pulled out the Lestons CD today, and loved this song. May have to go see Thompson tomorrow. Last Saturday I saw Cave Bees, Parmaga, Black Rabbit, and a band play the Pixie’s album Doolittle. The band was Bobby Hackney jr from Rough Francis, Caroline O’Connor, and from Blue Button, James Belizia, Jason Cooley, and Eric Olsen, and what a tremendous job they did playing those complex songs. Last night, I went out to see Persian Claws and Barbacoa. The first band on, Violette Ultraviolet were really good too. Seth is another local legend, always playing out. I hope you enjoyed checking out the music of our town. Let’s do it again next week, shall we?